The American Youth Soccer Organization (AYSO) Region 213 FLEX Extra Concurrent Program (“FLEX Program”) is a pilot program for Under-9 (U9) through Under-14 (U14) boys and girls players who are: a) Are participating in the Fall Season of the primary program; b) Possess the appropriate skills, commitment and abilities. And, c) Are participating in the U9, U10, U12 or U14 divisions. The FLEX Program shall be conducted in accordance with the current AYSO Rules and Regulations, Bylaws and National Policies; the current FIFA Laws of the Game (AYSO Edition); AYSO Region 213 Regional Guidelines (Regional Guidelines); and the guidelines as contained herein. The FLEX Program rules of play and calendar will be published on the Region 213 website. The program will be administered by the AYSO Region 213 FLEX Program Administrator (Program Administrator), who will be responsible for providing general administrative oversight and direction of the program. This will include managing dispute resolution/discipline review on behalf of and/or through the Regional Commissioner or their designee. The Program Administrator is authorized to appoint staff to assist in managing the FLEX Program through AYSO volunteers or third party contractors (approved by the Regional Commissioner) in the best interest of the FLEX Program. The Program Administrator is responsible for overseeing and verifying the FLEX Program requirements are met as they pertain to player eligibility, coach eligibility, team formation, field allocations and referee support by those individuals that elect to participate in the FLEX Program. Issues requiring special jurisdiction will be evaluated and handled by the Regional Commissioner in a manner which is in the best interest of Region 213 and AYSO. Dispute and misconduct resolution will be handled via the dispute resolution process defined in the Regional Guidelines. Player eligibility, as it pertains to age requirements to participate in a specific gender/age division, is defined in the AYSO National Rules & Regulations and Regional Guidelines. A player playing “up” in the primary program shall play in the same gender/age division in the FLEX Program. Eligible players must: a) Be registered with Region 213 in the current Membership Year; b) Participate in a scheduled tryout for the proper gender/age division; and c) Be on a roster of a primary program team. The AYSO National Office player database (which is currently eAYSO) shall be the source of determining all players’ current registration status, the creation of team rosters and ID cards. 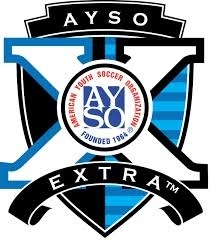 As defined by National regulations for FLEX Extra Concurrent Programs, players may play on another AYSO standard primary program team during the same season. They are eligible for the primary program playoffs, primary program postseason (such as Area and Section League Playoffs as well as the Irvine Mayor’s Cup) and all-star play. Players selected to the FLEX Program will commit to their standard primary program teams first and their FLEX Program teams second. Players selected to participate in the FLEX Program are expected to attend each session at the agreed upon times. Guest players, outside players and loan players are strictly prohibited. Any team using an ineligible player will forfeit all games in which this player participates. Placing/playing an ineligible player on a team may result in the expulsion of the player and/or coach or such other disciplinary action as deemed appropriate in accordance with the Regional Guidelines due process procedure. The coach cannot remove a player from the team or from the FLEX Program (during the FLEX Program season) once a player has been selected to participate in the program. A player can decide to leave the program and cannot be prevented from leaving if this is their choice. Coaches are reminded participation in the FLEX Program requires character and integrity. As such, coaches should strive to keep players interested and participating in the FLEX Program. Each team must have a coach. A coach can only have one team. A coach can be an assistant coach for only one additional team. The scheduler is not responsible for preventing schedule conflicts for those individuals who are the coach of one team and the assistant coach of another team. Identified schedule conflicts are resolved using the published (on the Region and/or scheduling website) game change request process. Be evaluated and renewed each membership year. A minimum of one season (fall or spring) between coach training and certification upgrades is highly recommended. Coaches must be certified as an AYSO Basic Referee or higher. Coaches shall apply for consideration to the Regional Coach Administrator. The Regional Coach Administrator shall make recommendations to the Regional Commissioner and the FLEX Program Administrator. Coaches shall be approved by the Regional Commissioner. The Regional Coach Administrator and/or Regional Volunteer Administrator shall attest to coach compliance. Each game shall have, at a minimum, a certified referee (where a certified referee is defined in the Regional Guidelines). Because all of the Team Coaches are also certified referees, a Team Coach can sign up and do the game as referee for their own match as long as they are in a referee uniform and can be clearly identified as the game referee. A Team Coach should not sign up to do their team’s game until the game is within one (1) day of being cancelled (due to the fact no referee has signed up for the match). Referees sign up using the Regional scheduling system. Games that do not have a Referee assigned by 7:00 PM the day prior to the scheduled game may be subject to cancellation. Canceled games are not made up or rescheduled. To encourage volunteers to get trained as referees and doing games, a Referee Points System which impacts a team’s standings will be established and published prior to the start of the FLEX Program. The FLEX Program Referee Points System will be based on the same Region 213 Referee Points System used for the primary program. Referee Points earned doing games in one program cannot be applied to teams in the other program. Fields and equipment shall be age and program appropriate. The Regions is responsible for properly preparing all fields. Fields are part of the Region's current Fall allocation. Players participating in the FLEX Program shall have Player ID cards. The coach shall present a valid and current Player ID card for each player on the team and a team lineup card from eAYSO to the referee during the team check-in. Player ID cards shall bear the player’s the same first and last name as specified in eAYSO (and listed on the lineup card), AYSO ID number, the Membership Year in which they are registered, a recent photo and the signature of the Regional Commissioner. Coaches participating in the FLEX Program shall have Coach ID cards. Coach ID cards shall bear the same first and last name used in eAYSO (for volunteer registration), AYSO ID number, the Membership Year in which they are registered as a volunteer, a recent picture and the signature of the Regional Commissioner. Coaches shall wear ID cards visibly on their person during pre-game check in and for the duration of all games. AYSO Player Registration Forms (medical release forms) for each participating player (with an electronic signature or wet ink signature). 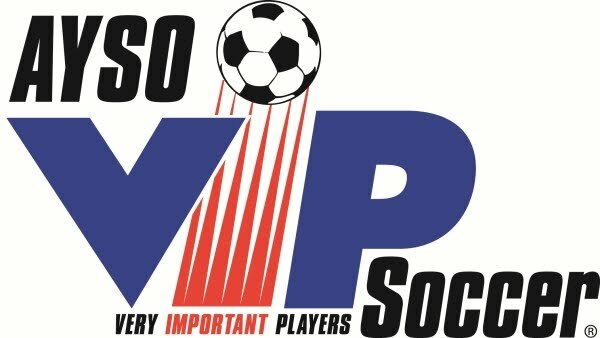 Team rosters are to be entered in eAYSO. The Team Roster - and all changes to the Team Roster - must be approved by the FLEX Program Administrator prior to any new player participating with a team. The player participates in no more than one FLEX PRogram practice and game session in a twenty-four (24) hours period. Each gender/age division will have at least twenty (20) and no more than thirty (30) players. Each gender/age division will have at least four (4) and no more than six (6) teams. Each team shall have at least four (4) and no more than six (6) players. The Region cannot have more players participating in the FLEX Program than they have participating in the standard primary program. Age division brackets will correspond to the same FLEX age division brackets designated by Area Q for the All-star program. Player evaluation opportunities shall be widely advertised to all potential players. A minimum of one (1) advertised tryout will be held for each age division. All participants in a tryout must be registered with Region 213 and a participant in the primary program prior to the tryout session. Players attending the tryout will supply a recent printout of their registered player form prior to participating in the tryout. All players must be newly selected each membership year. All players in a gender/age division in the primary program are eligible to tryout for the same gender/age division of the FLEX Program. The FLEX Program Administrator, or the coach as designated by the FLEX Program Administrator, shall notify all players who tried out if they made a team or not within a reasonable amount of time after the tryouts have concluded. The approved procedure for team selection shall be made publically available (such as posting it on the Region website). Evaluations shall be as impartial as possible. All of the division's coaches will conduct evaluations of players in the same gender/age division as their team. A parent of a player (other than a coach) trying out for a FLEX Program team may not participate as an Evaluator for their child’s gender/age division. The FLEX Program Administrator will supply the drills to be run during the tryout session. Someone other than the coaches shall conduct the tryout to ensure the Evaluators have enough time. If more than one tryout event is scheduled, then all tryout sessions shall be the same to ensure players who can attend only one event are evaluated based on the same drills and games. All of the Evaluators must submit player rankings/ratings for category on the scoring sheet for every player at the tryout -- including the coaches' kids. Evaluators rate/rank players based on four (4) criteria: technical, tactical, functional attack and functional defending. All Evaluators need to have sufficient education, experience and understanding to understand what these mean and how to rank/rate players for each of these categories. All players are ranked against the other players at the tryout - not against a theoretical "perfect" player. As a result, some players will get the lowest possible rating/ranking while others will get the highest possible rating/ranking. All of the ratings/rankings from all of the Evaluators are normalized and standardized resulting in list of players in rank order based on a combined, normalized and standardized score. The order in which coaches can select players in the draft shall be determined using a fair, unbiased process (such as pulling numbers from a hat or through a process of elimination using coin tosses and/or dice). Round 1: Coach 1, Coach 2, Coach 3, Coach 4, Coach 5 and Coach 6. Round 2: Coach 6, Coach 5, Coach 4, Coach 3, Coach 2 and Coach 1. Round 3: Coach 1, Coach 2, Coach 3, Coach 4, Coach 5 and Coach 6. Round 4: Coach 6, Coach 5, Coach 4, Coach 3, Coach 2 and Coach 1. Round 5: Coach 1, Coach 2, Coach 3, Coach 4, Coach 5 and Coach 6. If applicable and if a coach requests, then the coach’s child is protected from being drafted by another coach and may be selected in the last round of the draft. No player may be traded between coaches without prior approval from the FLEX Program Administrator. All uniforms and equipment shall be in accordance with AYSO National Rules and Regulations. All uniforms will be the same for all players in the same gender/age division. Teams will be distinguished using pinnies/vests. The home team (according to the schedule) shall wear the pinnies. Only those funds generated through registration fees for the FLEX Program are used for player uniforms or for any additional FLEX Program specific equipment (such as portable goals which are unique to the FLEX Program and not shared by the primary program) or spirit gear (warm-ups, backpacks, banners, etc.). Primary program and FLEX Program funds can be used for any and all resources which are common and/or shared between them. Common and/or shared resources may include, but are not limited to, fields, field painting, Region administration expenses, etc. Only players on the official roster of the team are permitted to participate in team training. Each session contains a 1-hour training session (ideally monitored and/or guided by a Master Coach providing the curriculum and guidance) for the Team Coaches to execute with their teams. Games are played following the training. All games shall be played as scheduled (date, time and field). Coaches are responsible for reporting game scores as directed by the FLEX Program Administrator. Sideline assignments of the teams and spectators shall be in accordance with direction provided by the FLEX Program Administrator. In some cases, the city of Irvine may allow the game fields to be setup on standard soccer fields. The city may ask the Region to place all of the spectators outside of the standard soccer field. As a result, all of the spectators and coaches may be assigned to the same sideline. For games cancelled by adverse weather conditions (rain, poor air quality or act of God), the FLEX Program Administrator, with the assistance of the Regional Scheduler, will reschedule the game if fields are available at a future date and time. The FLEX Program Administrator has the authority to reschedule games or declare a forfeit should there be an unfair advantage by not rescheduling a game. The referee is to report all misconduct, including cautions or send-offs of players; irresponsible behavior by coaches or spectators; injuries that may require medical attention; suspensions of games due to field closures; and any other area of concern including unsafe conditions using the Region’s match reporting forms and/or system within twenty-four (24) hours of the game. The referee may terminate or suspend a match for reasons of safety (bad weather or darkness), for any serious infringement of the Laws of the Game (or Regional Guidelines) or because of interference by spectators. The referee must report fully on the events. If a team does not appear for a scheduled game, their opponent will be awarded a 1-0 forfeit. A team not ready to play at the scheduled time shall forfeit that game and their opponent will be awarded a 1-0 forfeit. If the game is terminated due to the actions of both teams, then the game shall be deemed a forfeit by both teams and will count as a loss in the computation of average points per game (when determining the standings). If a game is suspended prior to completion due to inclement weather or any other unforeseen circumstances, the game score will stand as recorded by the referee, provided one half or more of the regulation game time had been played at the time of suspension. If less than one-half of the regulation game time had been played at the time of the game suspension, the game will be rescheduled and played in its entirety at a later date and time if possible. Standings will be determined by average points per game (total points earned divided by number of games played). A maximum of three (3) game points may be awarded to a team in any one game. Points shall be awarded as follows: a win equals 3 points; a tie equals 1 point; and no points for a loss. See the FLEX Program Referee Points System for the awarding of Referee Points to a team. In general, the FLEX Program Referee Points System should be designed so that no more than one (1) Referee Point can be added to a team each week. Referee Points should also be earned in the same week they are earned. Referees cannot do 2 games in one weekend and apply the points from those games to a single team. Awards will be given to the top two teams based on the final league standings. A one (1) point deduction for each red card (send-off) received by a player. A one (1) point deduction when a spectator is expelled for failure to conduct themselves in a responsible manner (before, during, or after the match). If more than two teams are tied in the standings at the end of the season, then use these rules until a team is eliminated. Start from the beginning and use the rules to keep eliminating teams until there are only two teams left. When you have only one team, then run through the rules until one team is eliminated (the other team is the winner). Head-to-Head Play: outcome of the games involving the tied teams). Goals Against: Team with the lowest number of goals against. Goal Differential: goals scored, less goals allowed, maximum differential of three (3) goals per game. Goals Scored: Team with highest number of goals scored, maximum of three (3) goals per game. Lowest point deductions for misconducts and send-offs. All games are played in four (4) equal periods. Coaches will use their best efforts to ensure all players receive an equal amount of playing time. No player shall play the entire game until all players on the team have played three of the four periods. 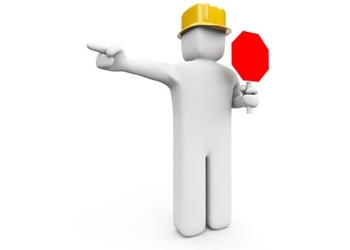 A player caution or send-off occurred. A coach or spectator is warned or expelled for failure to conduct themselves in a responsible manner (before, during or after the game). Should violators of the penalties set forth in this section refuse to immediately leave the field when requested to do so by the referee, the game shall be suspended until the situation has been resolved. If it is not resolved, in what the referee considers a reasonable amount of time, the game shall be terminated and the referee must submit a Match Report. There is no mandatory “cooling off” period for cautioned players. It is recommended that, at the coach’s request and with the referee’s permission, a cautioned player, or any player having difficulty controlling his emotions, may be substituted at the earliest opportunity. Send-Off’s (Red Cards), Cautions (Yellow Cards) and Coach/Spectator expulsions or reports of irresponsible behavior issued in games are not subject to appeal. The penalty for a player send-off (Red Card) shall be a minimum one (1) game suspension. The penalty for coaches or spectators being expelled for failure to conduct themselves in a responsible manner shall be a minimum of a two (2) games suspension. The length of any suspension may be increased and other disciplinary measures applied if deemed warranted in accordance with the Region 213 Regional Guidelines due process procedure. Suspensions shall be served in the first game (not scrimmage) that is played following the game of the incident. Player sent off must leave the field in the company of his/her parent(s) or guardian(s). Otherwise, the player may remain in the proximity of the field under adult supervision (in accordance with Saffe Haven requirements) until his/her parent(s) or guardian(s) arrive at which time they will leave the field immediately. A player serving a suspension may not attend any of the team’s next scheduled games (as a spectator or otherwise). They may return to the team after their suspension has been served. A coach or spectator serving a suspension may not be present at the game (including pre and post game activities) or participate in any manner. In the event a suspended player or coach participates in a match from which he/she has been suspended, the game shall be recorded as a forfeit in favor of the opposing team. For each such event, the original suspension must be served at the next game played by the team, an additional one game suspension must be served at the following game, and the coach of such team must serve a one game suspension.